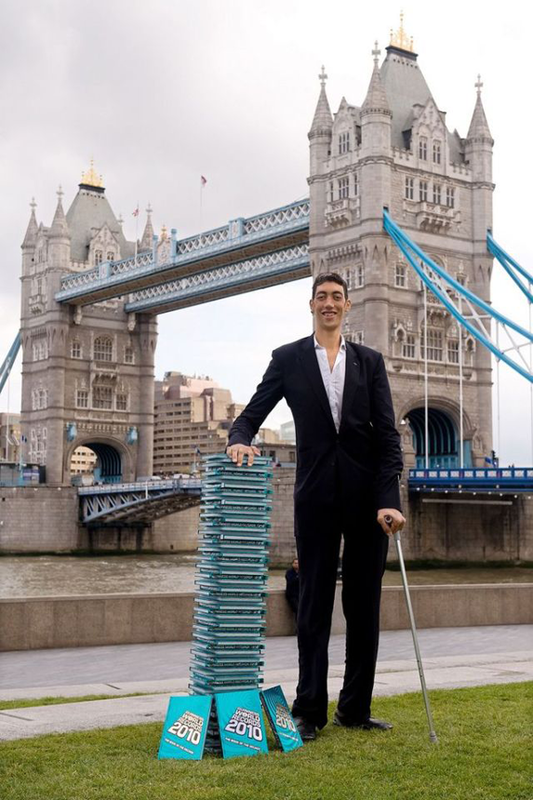 The 2010, 2011 and 2012 editions of Guinness Book of World Records lists Sultan Kösen (born 10 December 1982) as the tallest living man in the world as well as having the largest hands (11.22 inches, 28.5 centimeters) and largest feet (14.4 inches, 36.5 centimeters) when last measured on 8 February 2011. 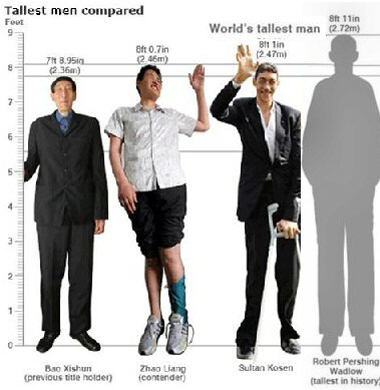 Kosen has been in the Guinness Book of World Records for sometime now due to his extremely tall stature. If we were to really add up his scores for the Guinness book of world records he would probably hold a few more, for the largest custom made shoes and gloves along with pants and t-shirts. Most men can buy their clothing in a department store, but it must be a little more difficult to purchase your clothes when you have to buy custom t-shirts every time you need a new one. Which could have been frequently considering that Kosen was still growing at 8'2" in 2011. 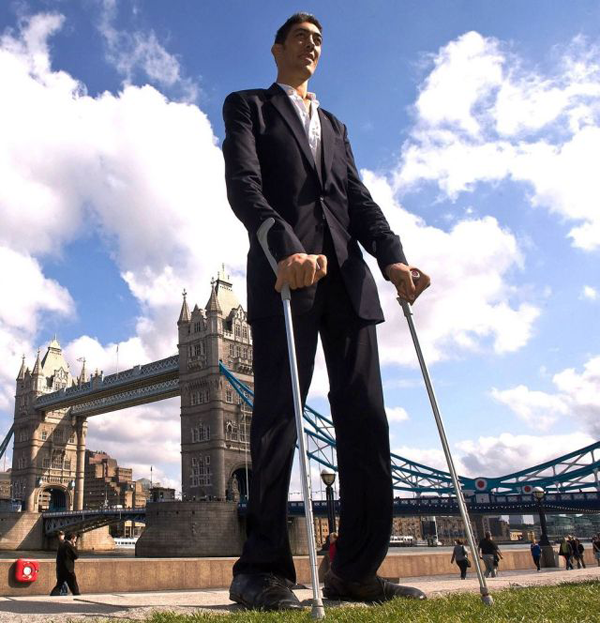 According to Guinness, Sultan Kösen is the tallest living human reaching an average height of 8'1" (2,46.5 m) when measured by GWR in Ankara, Turkey, in February 2009. He takes over the title from China's Bao Xishun, who stands 'just' 236 cm. (7 feet 8.95 inches). However, Sultan Kösen was still growing and at a more recent meeting with then tallest man of the U.S. George Bell, Sultan Kösen was measured at 8 feet 2 inches tall. 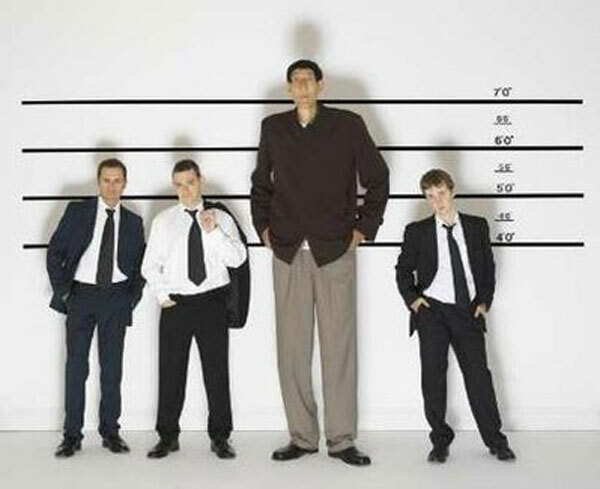 On 8 February 2011 Sultan Kösen was measured in Ankara, Turkey at 8 feet 3 inches (251.4 cm). 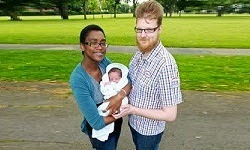 Source Guinness World Records.